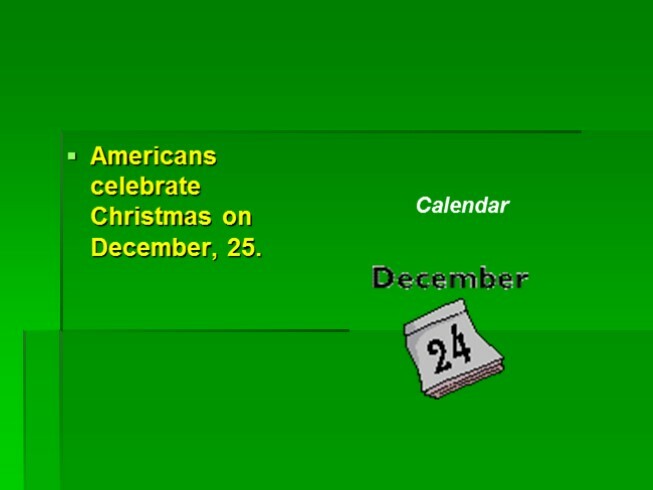 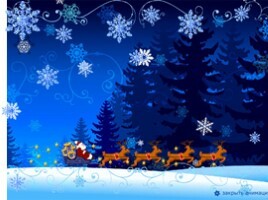 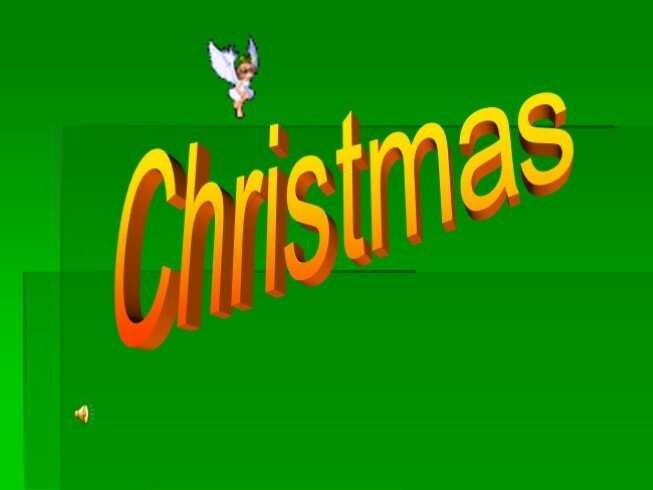 Americans celebrate Christmas on December, 25. 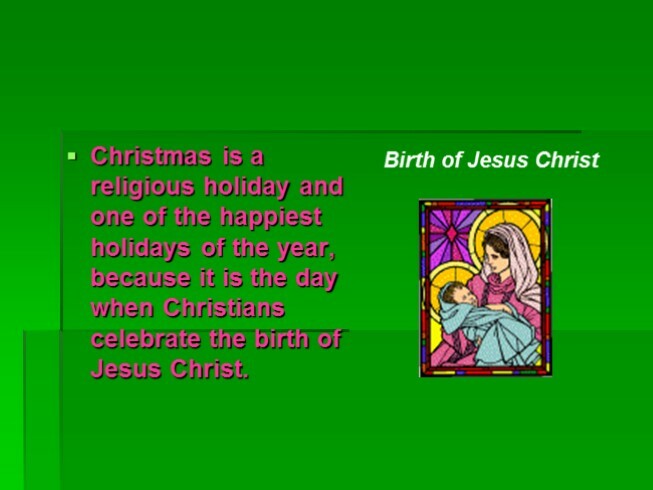 Christmas is a religious holiday and one of the happiest holidays of the year, because it is the day when Christians celebrate the birth of Jesus Christ. 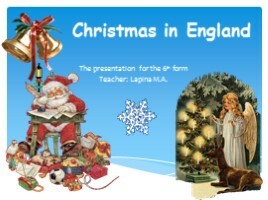 We prepare for Christmas weeks before. 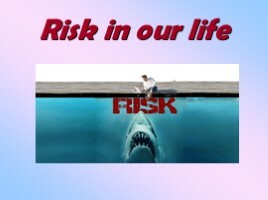 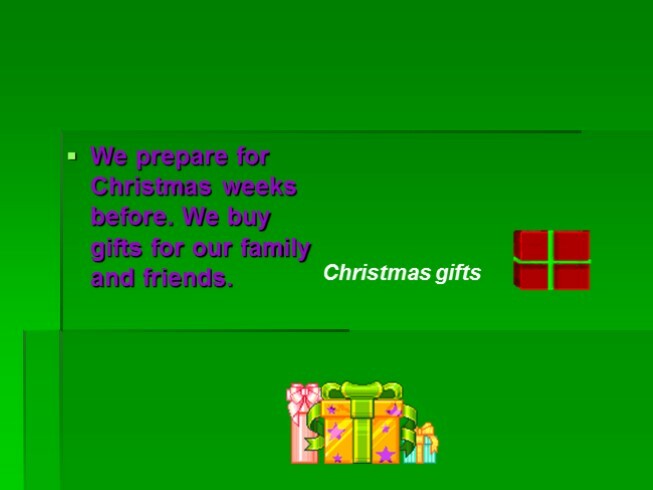 We buy gifts for our family and friends. 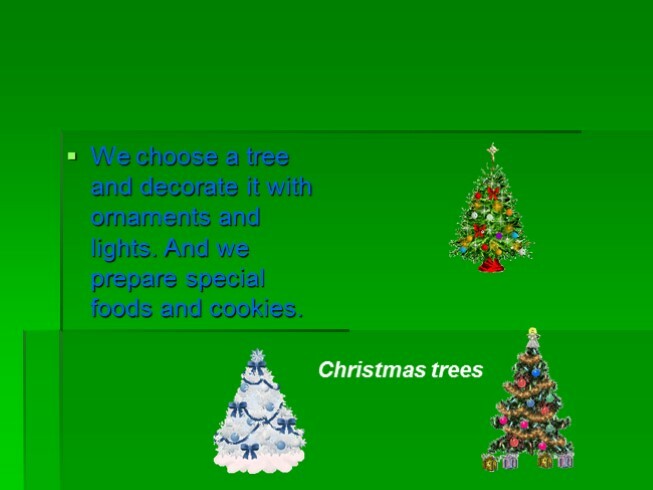 We choose a tree and decorate it with ornaments and lights. 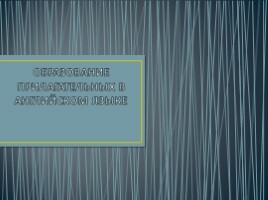 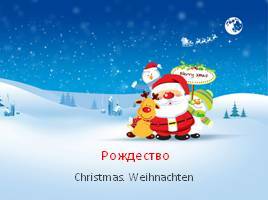 And we prepare special foods and cookies. 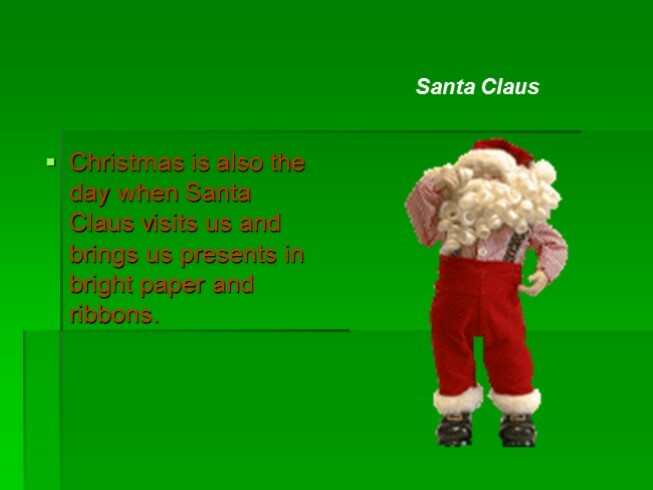 Christmas is also the day when Santa Claus visits us and brings us presents in bright paper and ribbons. 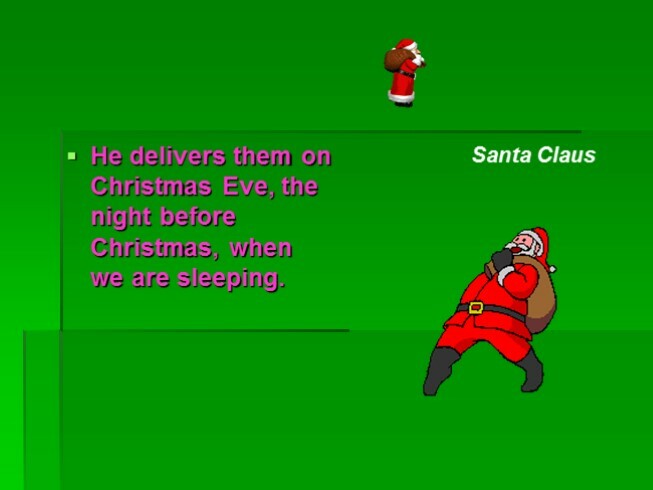 He delivers them on Christmas Eve, the night before Christmas, when we are sleeping. 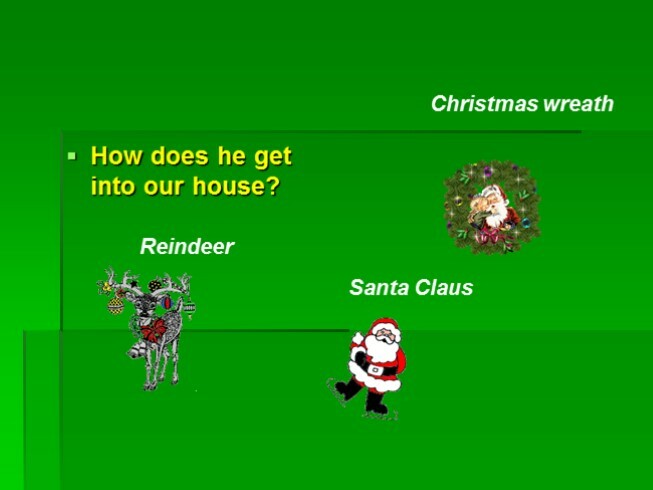 How does he get into our house? 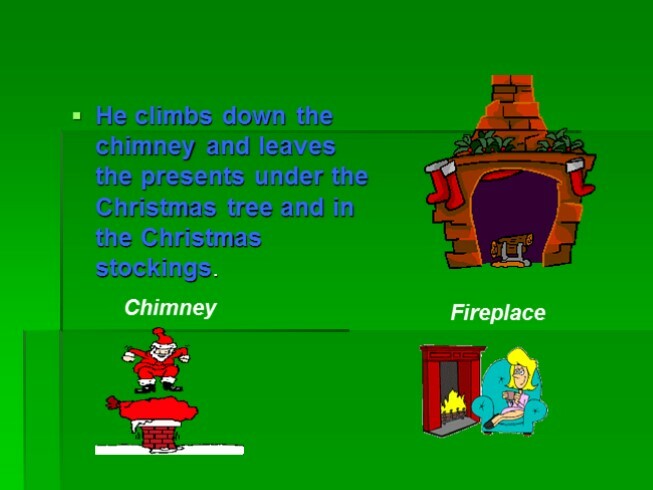 He climbs down the chimney and leaves the presents under the Christmas tree and in the Christmas stockings. 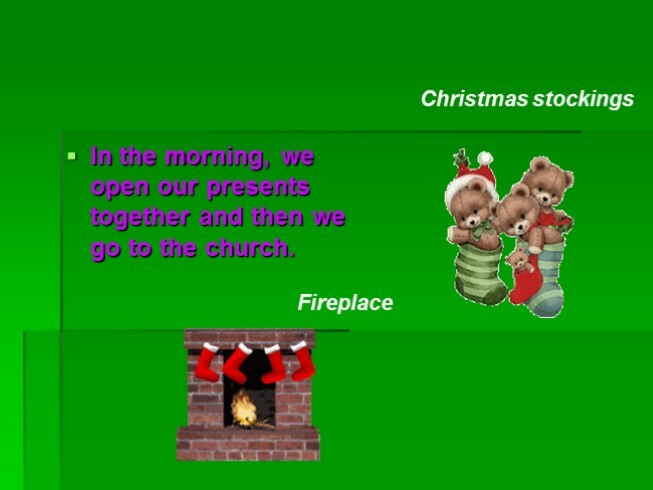 In the morning, we open our presents together and then we go to the church. 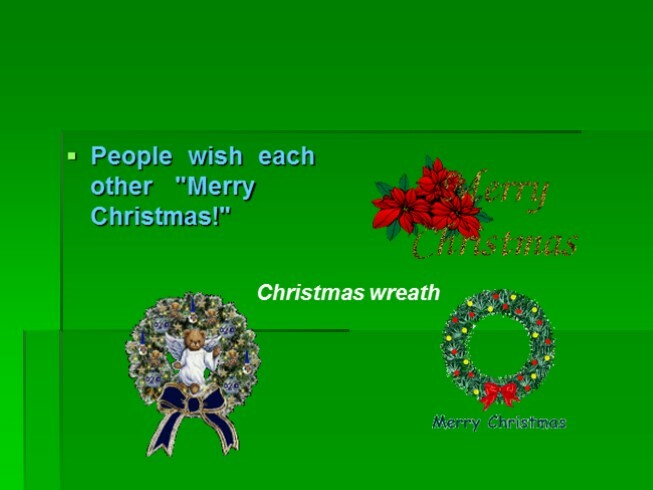 People wish each other "Merry Christmas!"